I regularly work with people who live in the Congo, even though I live in Nashville, Tennessee. Last week, I got on Skype at a scheduled time to meet with Rev. Betty Kazadi Musau who lives in the DRC. 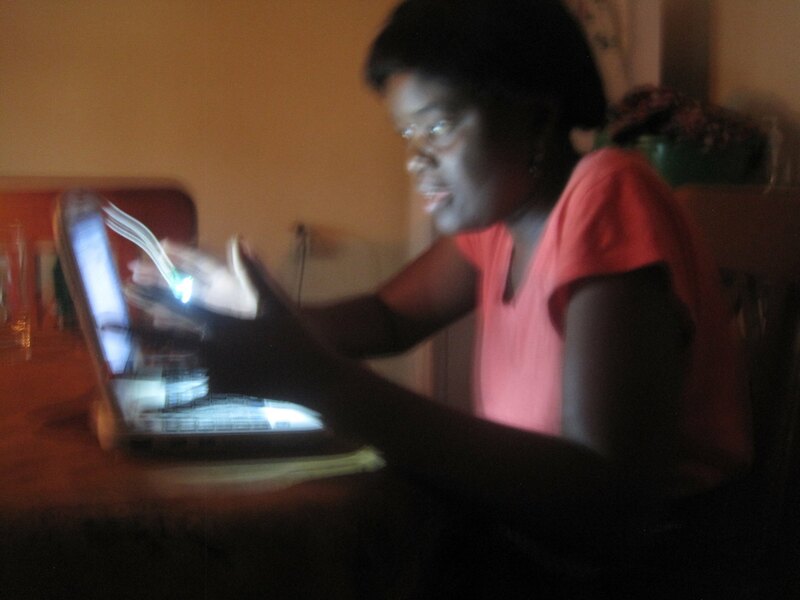 Just as we had planned, she was online and we began catching up on her work with a computer lab in Kamina. She mentioned that electricity was out, which shocked me – how could we be meeting without electricity? November 27, 2013. 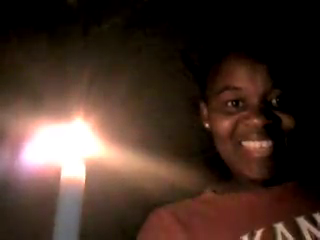 Betty Kazadi Musau chats on Skype by candlelight. Reliable power is a major problem where Betty lives. Global and local communications can’t happen effectively without electricity, and limit her ability to communicate with changemakers abroad. Laptop computers that use less power than desktop computers and have long battery life make a good alternative and can keep communications flowing. Portable solar options can keep the battery charged, provide light and cellphone charging. Watch this video by award-winning animator Firdaus Kharas that includes even more about the importance of solar solutions…and be sure to share with others! Betty now uses a solar light when the power is out. This entry was posted in My Stories and tagged DRC, Nokero, solar, umc, UMCommunication. Bookmark the permalink. I love what you’re doing, Neelley. In America, we take electricity so much for granted. You are changing lives with computers and technology, opening worlds to people who might otherwise never know what is beyond their borders. I love that picture, also, and that broad smile on Betty’s face! Neelley, I have learned to work with what I have and inspiration comes out of it. Remember, I said I enjoyed what I am doing as long as I communicate and let people know what I am doing with this donated computer and may it be with electricity or without. In all those conditions, what matters is the work, the work that should be effective and done in and on time so that people may know how communication is important and breaks barriers of ignorance. I have been studying to become an online secondary teacher. It is truly exciting to think about the potential that internet connectivity may bring to students in remote regions. In fact, educators are beginning to develop more and more tools that use mobile phones for education. I hope some United Methodist seminaries will take this seriously and begin to think “out-of-the-box” as we use technology to train leaders. Motivated students no longer need to be in the same room as a teacher. This is a wonderful ministry. Thank you for what you are doing.